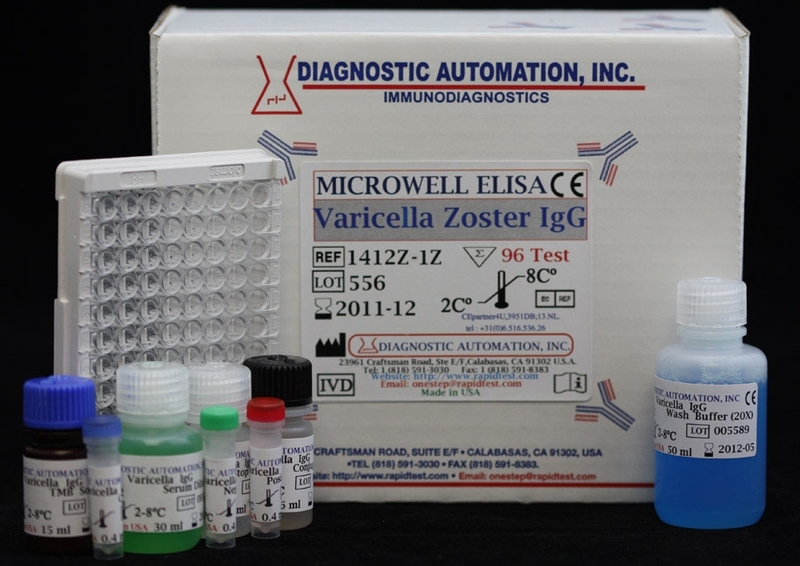 Varicella-Zoster Virus (VZV) IgM ELISA test kit is an Enzyme-linked Immunosorbent Assay intended for the detection and quantitative determination of IgM antibody to VZV in human sera as an aid in the diagnosis of primary infection or reactivation. 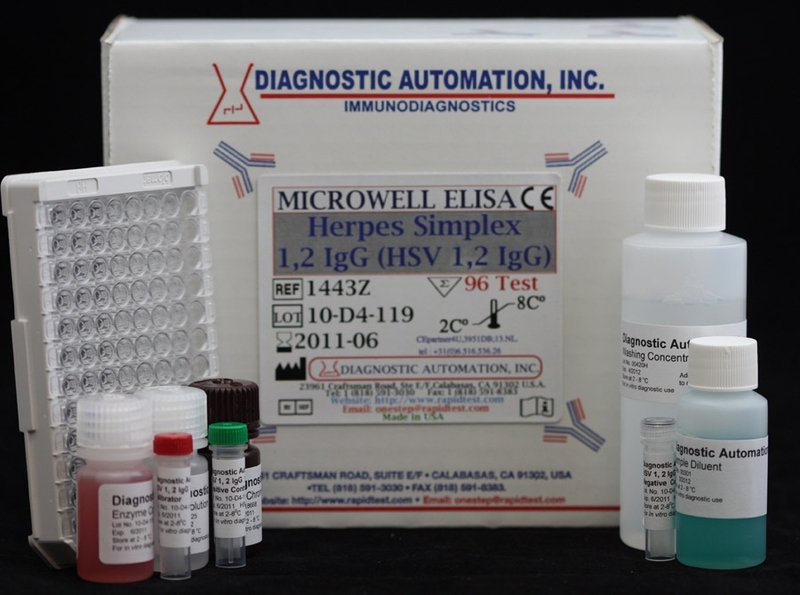 The Varicella-Zoster virus test kit is an Enzyme-Linked Immunosorbent Assay. 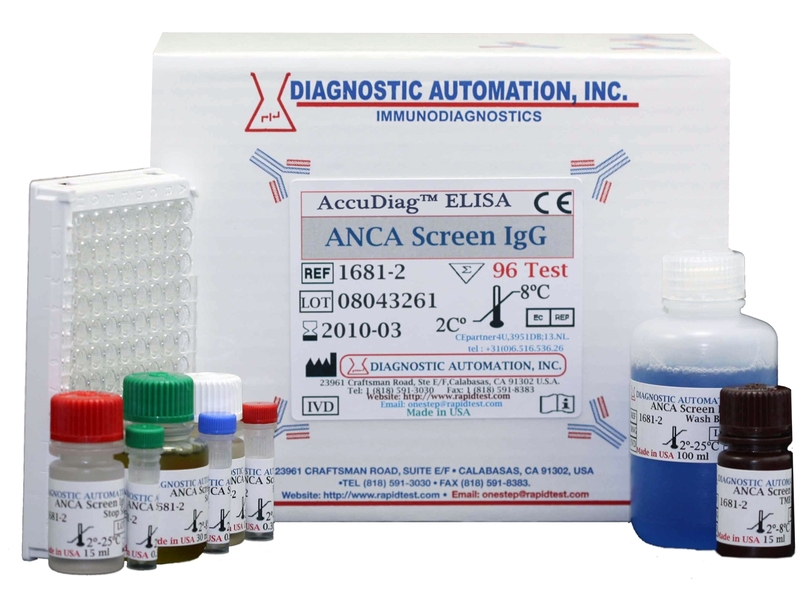 Linked Immunosorbent Assay. Purified inactivated preparation of Varicella-zoster virus antigen is coated on the surface of microwells. Diluted patient serum is added to wells, and the Varicella-Zoster IgM specific antibody, if present, binds to the antigen. All unbound materials are washed away. After adding enzyme conjugate, it binds to the antibody-antigen complex. Excess enzyme conjugate is washed off and TMB Chromogenic Substrate is added. The enzyme conjugate catalytic reaction is stopped at a specific time. For additional details please refer to the instructions for use. 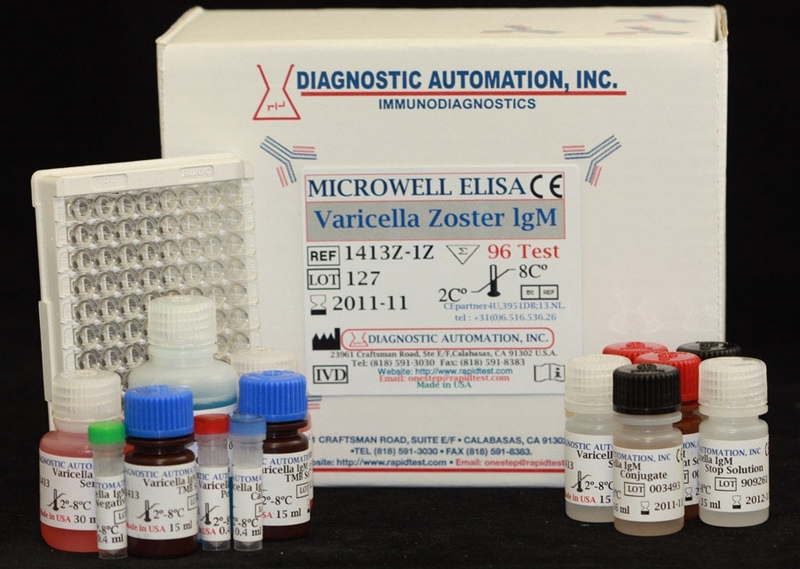 Diagnostic Automation Varicella-Zoster Virus IgM ELISA kit provides all the necessary reagents for the rapid quantitative determination of VZV IgM antibody in human sera. 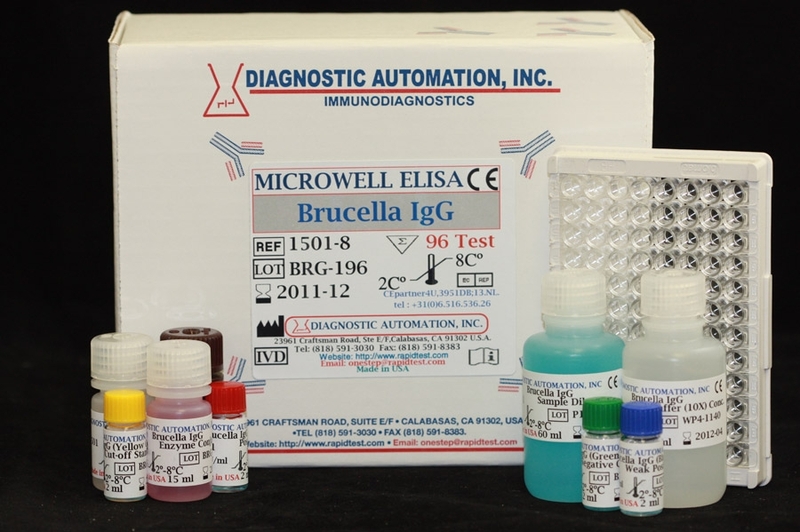 Our Varicella Zoster IgM Elisa Kits have 100% sensitivity and 100%specificity.